يقع Sanctuary Rarotonga on The Beach في Rutaki, راروتونجا, هو خيار شائع بين المسافرين. يقع الفندق على بعد 15 KM من مركز المدينة، ويؤمن الوصول إلى أهم مراكز المدينة. يضفي محيط الفندق اللطيف وقربه من Wigmore's Superstore, Cook Islands Divers, Turoa Beach سحراً خاصاً على هذا الفندق. 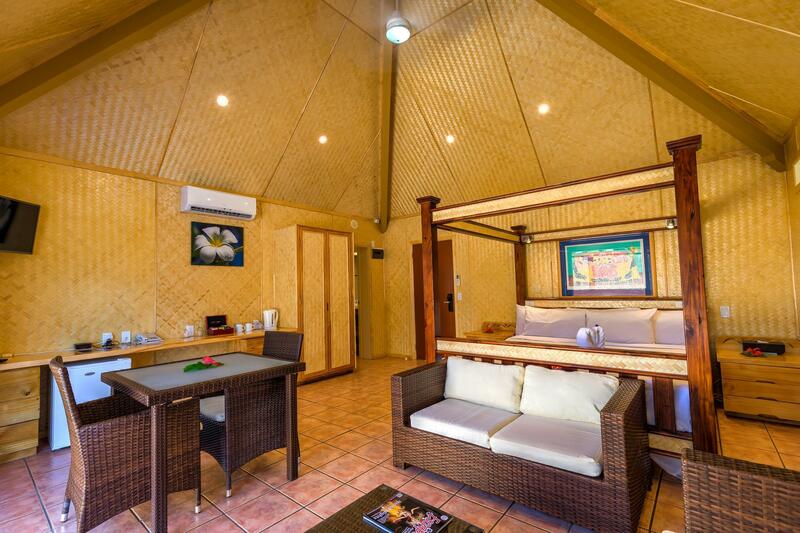 إن الخدمات التي يقدمها Sanctuary Rarotonga on The Beach تضمن للنزلاء إقامة مريحة. يقدم الفندق أمن على مدار 24 ساعة, متجر, خدمة التنظيف يوميًا, متجر هدايا/تذكارات, خدمة غسيل ذاتية لضمان الراحة القصوى لضيوفه. بالإضافة لهذا,تتضمن كل غرف الضيوف مجموعة واسعة من وسائل الراحة . بعض الغرف توفر حتى إغلاق, شاي مجاني, مناشف, قهوة فورية مجانية, تلفزيون بشاشة مسطحة لإرضاء أكثر الضيوف تطلباً. يمكنك الاستمتاع بالأجواء المريحة التي تقدمها كنو, السهام المريشة, مسارات المشي, الغوص السطحي, حوض استحمام ساخن طوال النهار. 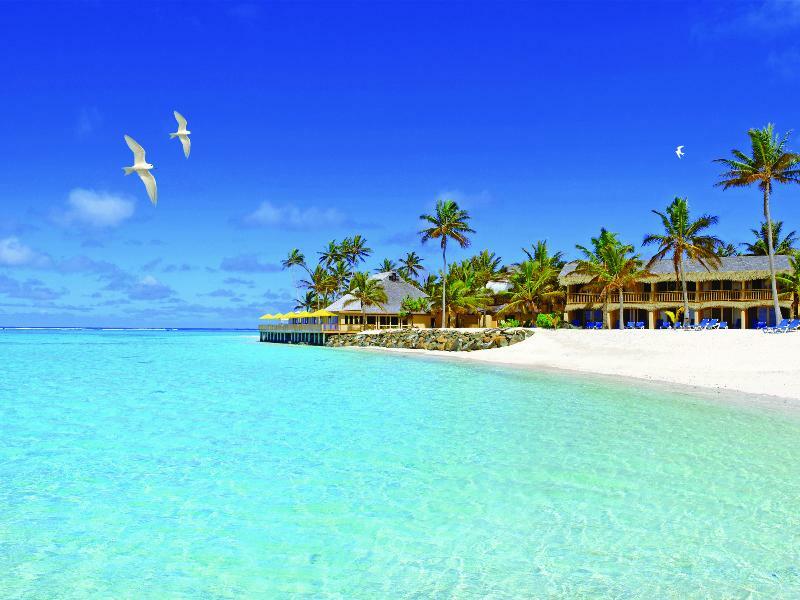 إن Sanctuary Rarotonga on The Beach هو خيارك لخدمة الفنادق الراقية في راروتونجا. يشمل سعر الغرفة بوفيه إفطار استوائي لجميع فئات الغرف ويتضمّن بوفيه الإفطار ما يلي: فواكه الجزيرة الطازجة وسلطة فواكه طازجة وفاكهة مطبوخة منزليًا ومربى المرملاد وزبادي محلي الصنع وخبز طازج ومعجنات وحلوى المافين والكرواسون والحبوب والخبز المحمص وحشوات وعصير الفواكه والشاي والقهوة. تتوفر قائمة إفطار حسب الطلب وأطباق الإفطار الخاصة المُقدّمة من الطاهي نظير تكلفة إضافية. My Partner and I didn't particularly enjoy our stay at the Sanctuary Rarotongan. The facilities are adequate and the setting is quite nice. The staff are a real asset and we found Malcom to be an absolute gem, very helpful and full of interesting facts and suggestions on things to do and see. The Swim-up bar is fun. The breakfast buffet isn't particularly appetising and the Dinner menu in the restaurant was expensive for relatively average fare. The water directly outside the room behind the resort is a far cry from the airbrushed blue lagoon shown in the advertising pictures. It's full of large coral outcrops, there is a murky stream running alongside the boundary with all manner of detritus floating out and past the shore, and the sea bed is covered in huge ugly black sea cucumbers that basically make it impossible to swim safely there, hence I guess thats was the reason nobody was swimming there at all. Probably would not stay here again given how expensive it was. I expected more. The rooms need a bit of love and refurbishing, the pool area is dark and doesn’t receive much sunlight at all due to the over grown palms and bushes surrounding it. The breakfast was dismal, everything was sugary eg. single packet cereals, mini pastries and muffins and mini pancakes that weren’t hot. 2 out of 3 staff members were unfriendly or just seemed not to give a damn. We only ate at the restaurant one night, that was honestly enough, we ate out of the hotel every other night. It appears that all the locals know of the decline in service and the quality of the hotel so it has a bad name amongst some of the more switched on locals. The hotel is in a great spot on the lagoon and it is lovely to sit beachside if it’s not windy and use of the kayaks and SUP’s which are free to use is good. The marine life is also quite cool with a lot of smaller schooling fish around the shoreline in the afternoons. My over all rating for our experience here would be 3 out of 10. It has a reputation as one of the best resorts on the Island. Sadly we found it outdated, way overpriced and overall very disappointing. Half the staff are helpful and the others are just rude. If they bothered to invest some of the money they charge back in to the Resort it could be so much better. Little things annoyed us.. like the breakfast you pay for does not cover any hot or healthy food, you have to pay extra for this. If you wanted to order room service they charge you an additional $9 to bring it to your room on top of the price. I would not recommend this accommodation, for the price you pay you could get 100 times better! Friendly staff, facilities great but was disappointed with breakfast last time it was alacarte this time buffet without a cooked breakfast. Overall pretty good. Beachfront location. Right on the lagoon. Service good. Food great. Enjoyed. Big resort like other common ones. Overall is very good. Just one thing, we got 3 people and book 1 room which indicated that can fit 3 people but found out that only one king size bed, so one person need to sleep in a small sofa. A beautiful place to stay on the island with the best beach at your door step. Kylie and Cameron are new mangers that maDe our stay more enjoyable. The rooms do need an update for the price they are charging but are still nice. The restsurant has amazing food and the use of paddle boards and kayaks were great. The owner of the property should put more money into the resort to bring it to a 5 star status. The service at the restau rant was not very good and ran out of items like coffee ect. I agree with other reviews with a hot breakfast should be offered with the cost of our room. Overall a wonderful place to stay and with the changes new mangement are already making, a wonderful holiday destination. Good stay, staff excellent, some of rooms may need makeover. Getting a little dated. It was fantastic, we had our wedding there and the staff were incredible. 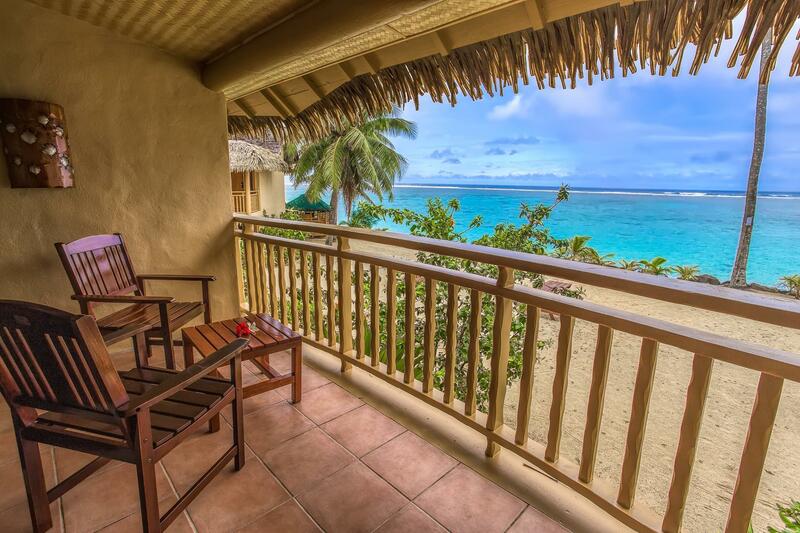 The view was breathtaking and the snorkelling right out in from of your room was unbeatable!!! all in all, the sanctuary was an ok hotel to stay at. the negatives were the breakfast which wasn't great and basically a lack of staff. it's no good having a happy hour and only having one person on the bar! cocktails take time to make! we had dinner at the in house restaurant, and although the food was great, it took over an hour and a half to get it. the poor staff were stretched all over the place, trying to serve everyone. to their credit they still did it with a smile. the beach at the resort was a highlight as was the fact that it was an adult only resort. no kids running around! We stayed at the Sanctuary Rarotongan over a weekend when the weather wasn't particularly good. Besides this, there were lots of things to do but it was also very quiet and relaxing. We found the food at the restuarant very good and the service was excellent. The rooms were clean and tidy but there was a slightly annoying noisy aircon unit somewhere that was noticeable at night. 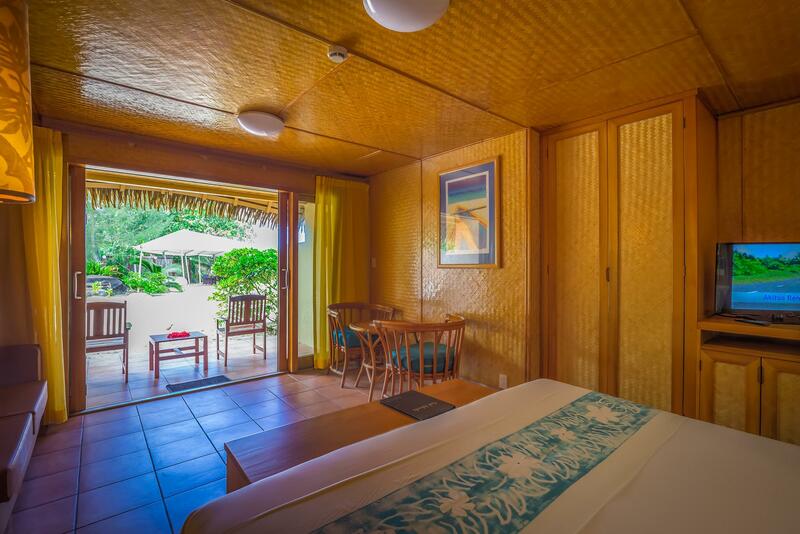 I am really enjoy the stay at Sanctuary Rarotonga-on the beach. The room is comfortable and clean. The beach is fantastic for canon or kayaking, also for snorkelling. You can see big fishes just a few steps out in the water. The staff in the resort are friendy and helpful. The facilities in the resort is good.